At Clagett Periodontics, we believe you should have the most effective and compassionate treatment possible. The quality of care that Dr. Clagett provides comes in part from his years of experience and advanced training as a periodontist. Just as importantly, Kentucky patients visit our practice for “healthcare hospitality” that prioritizes comfort, simplifies choice, and reduces anxiety. Come see us, and get a beautiful, healthy smile without pressure, blame, or shame. 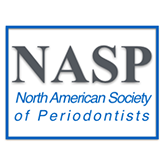 Dr. Clagett is a board-certified periodontist dedicated to changing people’s lives for the better. Kentucky patients rely on him as an expert in dental implantology and gum disease treatment, and they choose him for their care because of his friendly, straightforward, and honest approach. Dr. Clagett is proud to serve his hometown and gives all new patient examination fees to charities in our community, donations which to date have totaled more than $30,000. Get back the full cosmetic appearance and function of your original teeth. Whether you want to replace a single damaged tooth or need an alternative to uncomfortable dentures, dental implants are the most effective option available. Dr. Clagett can frequently restore teeth in a single-day appointment, and he supports Kentucky patients with the highest-quality materials. His use of guided 3D imaging makes treatment outcomes more accurate, durable, and natural-looking. Patients who come to our practice about gum recession are usually concerned about the unsightly cosmetic effect. However, exposed dental roots also mean that they’ve experienced bone loss and that their tooth is at risk. As a skilled periodontist, Dr. Clagett can repair this damage and restore a healthy, aesthetically appealing smile. He is also the inventor of the SAMRI technique, a less invasive approach to gum grafting that can decrease surgical time by 50%. Even if you’re doing all the right things, family traits can make you more likely to have gum-related problems. As a periodontist, Dr. Clagett has spent years training in the diagnosis and treatment of gum disease. When you come for a visit, he’ll prepare an individualized plan and help you understand your options for correcting these issues. With solutions that include non-invasive gum therapy, he can guide you to a healthier, more comfortable quality of life. Dr. Clagett provides a range of surgical options for resolving gum-related problems. He uses advanced techniques, including laser-assisted surgery and ultrasonic instruments, to eliminate gum disease and to heal and regrow tooth-supporting bone. Kentucky patients who see our practice for care tell us their teeth feel stronger than they have for years, and most are surprised at how manageable treatment is compared to symptoms with which they’ve been living. Also known as “smile enhancement,” Dr. Clagett offers this collection of treatments to give you a smile you’ll love and want to share. This includes correcting a gummy smile, optimizing your results with dental veneers, and replacing and restoring individual teeth. Find out how subtle changes to your teeth and gums can give you a more mature, balanced, and aesthetically appealing appearance. I was embarrassed that I needed to have a tooth removed. Dr. Clagett assured me that I am not the only one who has felt this way. Thanks to Dr. Clagett and his team, I can show my smile off again! 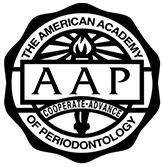 Whatever your goals are in working with a periodontist, we’re here to help. Our before and after gallery can show you the type of improvement that’s possible with the right care. Take a look at the outcomes other patients have gotten with Dr. Clagett. Clagett Periodontics offers patients the most advanced technology available, giving them faster, more comfortable treatment with better-looking and longer-lasting results. Our practice was the first in Kentucky to use X-Guide™, a GPS-like system for navigating dental implant placement nearly 11 times more accurately than freehand. Using tools such as intraoral scanning and techniques such as stitchless laser surgery allows us to provide a higher level of care.